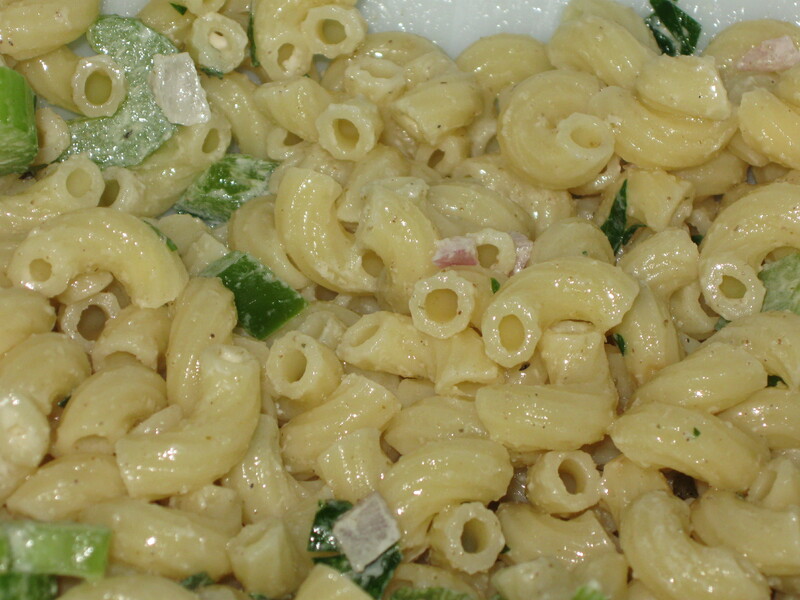 Another great macaroni salad whereas the flavor improves if you make it at least four hours ahead of time. 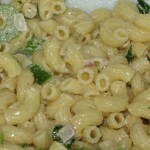 A minimalists macaroni salad. Cook, drain, rinse pasta with cold water until it has cooled off; drain again and place into bowl. Add the oil, peppers, celery, onion and mix well. Add the celery salt, garlic powder and chopped parsley and mix well again. Add the mayo, salt & pepper, and mix very, very well to combine. Cover with plastic wrap, place in the fridge until serving. Mix well again before serving.